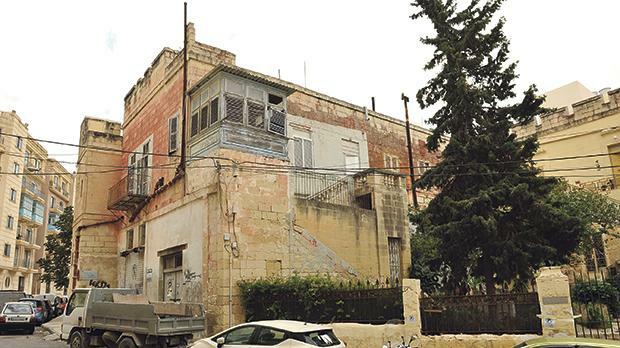 A restoration architect has written to Culture Minister Owen Bonnici pleading withhim to save various historic buildings which have been earmarked for demolition to make way for large scale developments. Edward Said, who is also the founder of the Sliema Heritage Society, made this announcement during a debate organised on Wednesday night by SACES, a student organisation within the faculty of architecture and civil engineering at the University of Malta. In a brief presentation, Mr Said listed a number of historic edifices, ranging from Villa Ignatius in Balluta to the Sea Malta building in Marsa, which were recently demolished. “It is quite ironic that while Malta is celebrating its status as European cultural capital, I am giving this obituary to these heritage buildings,” he remarked. On the other hand, Mr Said welcomed the recent move by the Planning Authority to list some historic buildings as Grade 2 structures. Nonetheless, he expressed concern that such status could still fall short of guaranteeing their complete preservation, saying there had been cases when Grade 2 buildings were demolished - bar their facade. He also criticised the decision to construct tall buildings in Tignè, Sliema, saying their proximity to Valletta’s skyline was jeopardising Malta’s architectural “crown jewels”. The dean of the faculty for built environment, Alex Torpiano also expressed his concern. “We will regret demolishing these buildings,” he said. While acknowledging that population growth and the influx of foreigners was a factor impacting on the rate of development, Prof. Torpiano said that the root of the problem were the policies themselves. “The authority is dishing out policies that encourage building additional floors, rather than controlling them,” he said. He pointed out that in a bid to attract super millionaires, the construction of large dwellings with a footprint of 600sq metres were being put on the market. He noted that such developments made no sense for a country the size of Malta, which is already facing traffic congestion as well as an intrinsic water supply problem. Prof. Torpiano emphasized that population density does not necessarily equate to ugliness. But he cautioned that while rapid economic growth might sound like music to the ears of politicians, there could be a hefty price to pay if this happened too fast.